Ezer’s EOT-1800 offers outstanding mobility, functionality and quality. 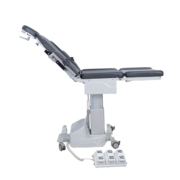 This versatile surgical table is ideal for eye surgery. 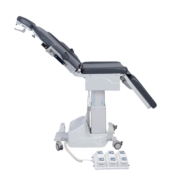 A retractable headrest and armrest add to the ease of use for a range of surgical procedures in ophthalmic settings. 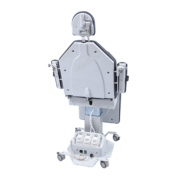 Operators can control the table’s movements using a smartly designed foot switch with two frequently-used positions already build-in for quick positioning. 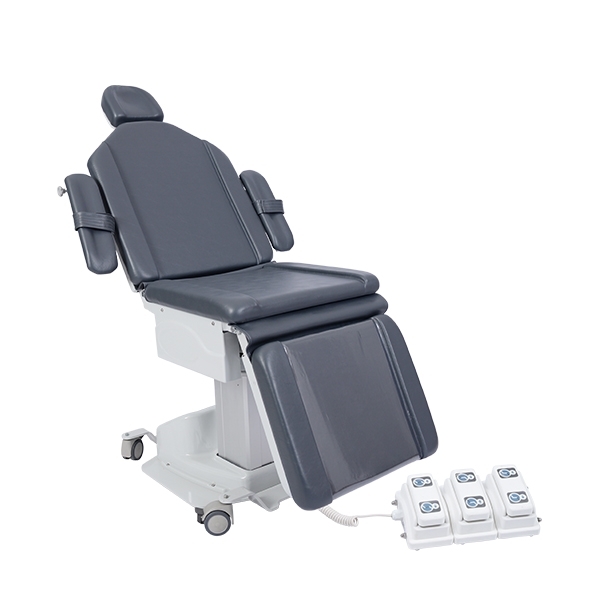 You will achieve superior clinical performance and patient comfort with the EOT-1800. Positioning the table is fast, quiet and easy. 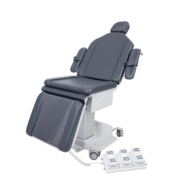 The EOT-1800 features an elevation system, backrest and leg rest driven by extremely quiet, oil-free electric motors. Several positions can be achieved, including the Trendelenburg position. Best of all, this surgical table is built to last, using durable yet attractive materials that are easy to clean and provide quiet, precisely-controlled operation. 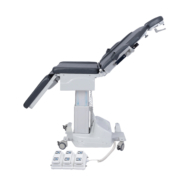 A retractable headrest and armrest add to the ease of use for a range of surgical procedures in ophthalmic settings. This versatile surgical table ideal for eye surgery, offering outstanding mobility, functionality and quality. You will achieve superior clinical performance and patient comfort with the EOT-1800. Positioning the table is fast, quiet and easy. 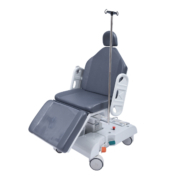 The EOT-1800 features an elevation system, backrest and leg rest driven by extremely quiet, oil-free electric motors. Several positions can be achieved, including the Trendelenburg position. 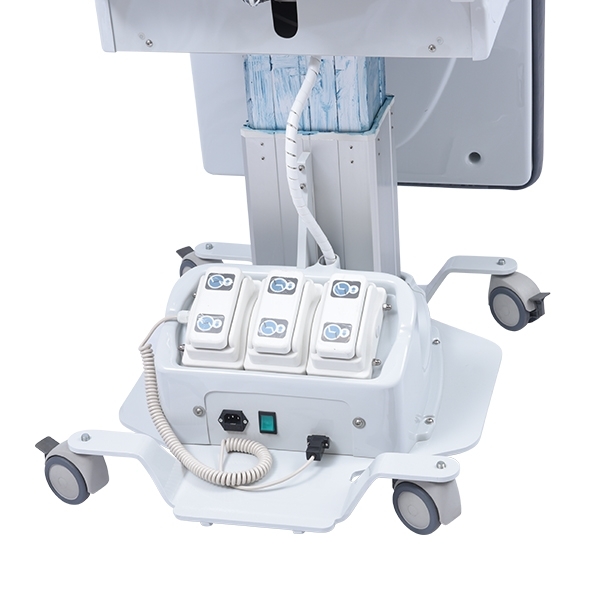 Avoid unwanted movement during surgical procedures using the footswitch. 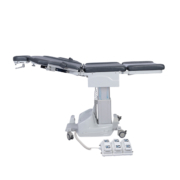 The table features quality 3” an 4” casters in he construction of the quality-built EOT-1800. 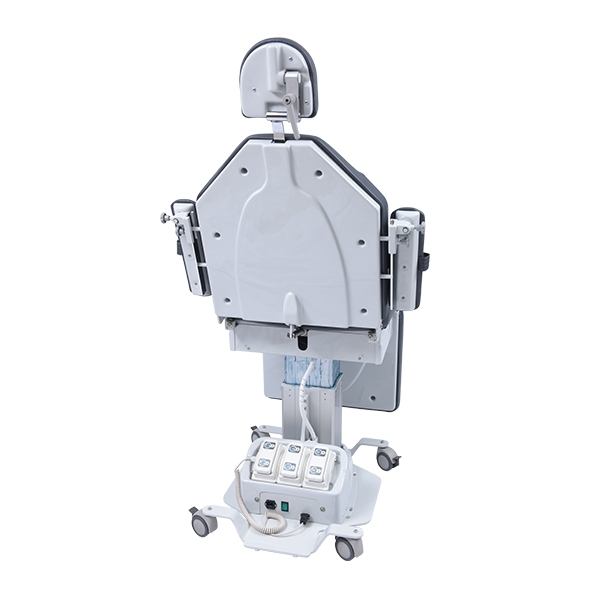 Operators can control the table’s movements using a smartly designed foot switch with two frequently-used positions already build-in for quick positioning. 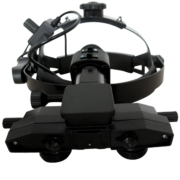 The internal structure of the EOT-1800 is composed of carbon steel SAE 1020 with surface treatment and epoxy paint. It also features a polystyrene finish that allows for easy cleaning. The searing is padded with a density-controlled injected foam that features a technologically advanced anti-deforming system. The attractive curved upholstery offers rounded corners and an anti-mold coat.